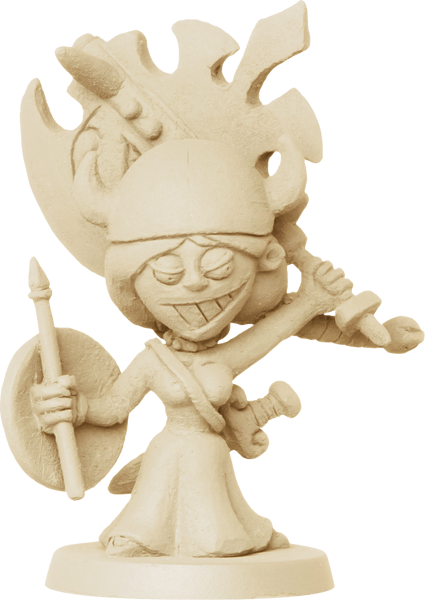 Welcome, adventurers, to Munchkin Dungeon, an all new boardgame with all your favorite Munchkin characters, loot, monsters, and backstabbing. 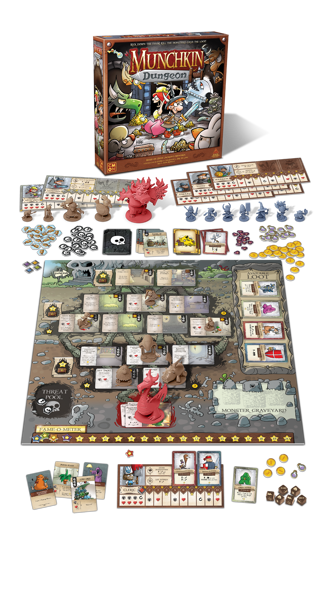 CMON, in collaboration with Steve Jackson Games, has created a Munchkin dungeon-crawling experience from the (what else?) ground up. Read on to learn what's in store for you and your friends when you lay out the board, set up the (gorgeous and exclusive!) Munchkin minis, and roll the dice . . . 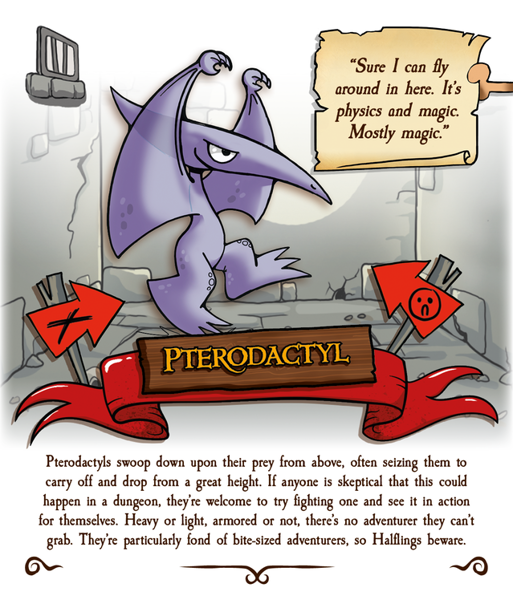 In Munchkin Dungeon, two to five players take on the role of characters from the classic Munchkin games, including the Wizard, the Dwarf, and the Thief. These Heroes push their luck, wending deeper and deeper into the twisting tunnels in search of treasure. Around any corner might lurk a Monster, looking for its next meal, and these Heroes will have to face a final Boss if they hope to escape the Dungeon with their life, and their Loot! As if the Monsters weren't enough of a threat, the Heroes are going to want to wear some tough back armor to protect themselves from their companions' inevitable stabbings. No one said the life of a dungeon crawler was easy. First, they Kick Down the Door, moving at least one Room deeper into the Dungeon. Brave explorers can choose to go further, but with each extra step, the risk increases. Fight Monsters(of course). In this phase, the active player faces off against all of the Monsters they've come across on their turn. Based on the Level of the Hero and any Loot they may have acquired to help them in combat, they roll the dice and look for Hits. As they defeat Monsters, they gain rewards. Named Monsters are relegated to the Graveyard and Wandering Monsters are discarded. Finally, after battling, the last phase of a turn allows players to Loot the Room and Level Up. Players gain rewards (Coins, Loot, Fame, or Munchkin tokens) for defeating Monsters and can get an extra bonus for clearing a Room of all the underground beasts that were infesting it. When players Level Up, they move their counter onto the level they just reached. That may gain them more Hearts, dice, rerolls, or even Room-cleaning bonuses. Hey, all that hard work pays off!Sometimes, a Threat card or Loot will result in a player having to take a Shame token. That player will lose Fame points and be the target of other negative game effects until they can recover their reputation. In short, being shamed is bad. It wouldn't be a dungeon crawl without a big, mean baddie waiting for you at the end of the adventure. Boss Monsters are trickier and moredangerous than other Monsters. It's worth one Fame point just to try to fight them. The Boss is selected at the start of the game, and it will determine the difficulty level of the Dungeon the Heroes are facing. If you manage to slay the Boss, you gain all of the rewards printed on the top card of the Boss deck and then that card is discarded, making the Boss that much harder for the next hero to go after it. The game ends immediately when the Boss is defeated for the fifth time, or when any player reaches 20+ Fame. You earn extra Fame points for all the Loot and Trophies you've acquired along the way. The player with the most Fame wins! Do you have the nerve to sneer in the face of danger, laugh in midst of battle, and chortle in the presence of Giant Angry Chickens? 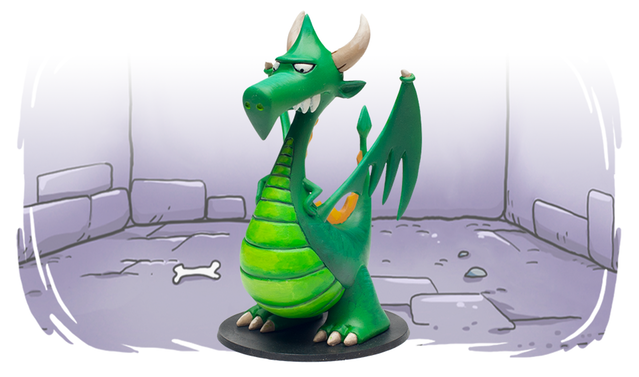 This is not a game for first-level adventurers, this is Munchkin Dungeon! Only one Hero can be the most famous, and you won't need an influencer campaign to get there! 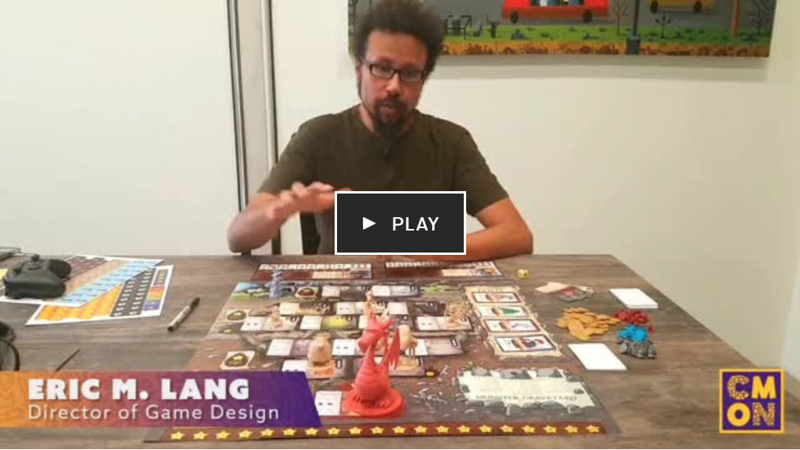 Join the Munchkin Dungeon Kickstarter today!